Believe it or not, when Michael Mondavi first traveled the country promoting Robert Mondavi Winery in the 1960s, he was commonly asked, “Robert who?” followed by “Is that a Chinese restaurant?” I had to chuckle – even big names like this start somewhere. I’ve always been in awe of entrepreneurs, no matter what their line of business is. But in the wine world, it doesn’t get much more impressive than Michael Mondavi. Recently I had the chance to talk to him and learn where he started from, and what gave him the idea to branch out from California and start an importing company. Today the Mondavi name speaks volumes in the U.S., having become virtually synonymous with American wine. But surprisingly, in 2004, Michael founded his own international wine importing company, Folio Fine Wine Partners. So I had to ask him: Why not just focus on California wine rather than importing? As it turns out, it all started with a trip he took 37 years ago. “After my younger brother Tim graduated in 1974, Dad decided to take us to Europe. Day after day for two weeks, we traveled from winery to winery – three to five a day. I had been to Europe several times before that trip, but this time was different. This time, we met with the families, the winemakers, walked through the vineyards and tasted the wines. 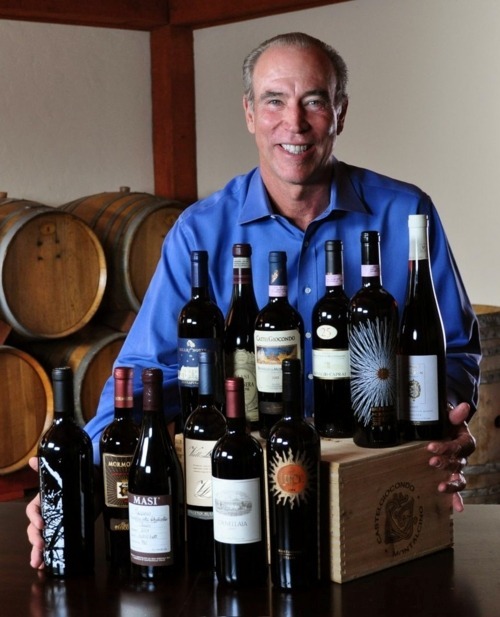 Over time he built relationships with wine families in Europe, and had to make a major decision after he was approached by Vittorio Frescobaldi to import his wines. Frescobaldi belongs to one of the oldest wine families in Tuscany, one that has made wine for over 30 generations and 700 years. Michael realized he couldn’t import just one wine – he needed to create a portfolio. But that wouldn’t come easy.